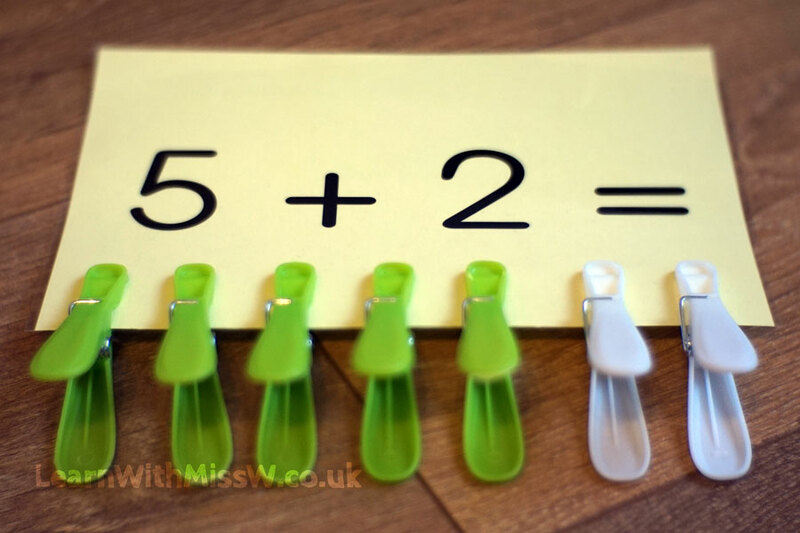 Active adding resource using pegs. Children choose a colour for each addend and arrange on the card. 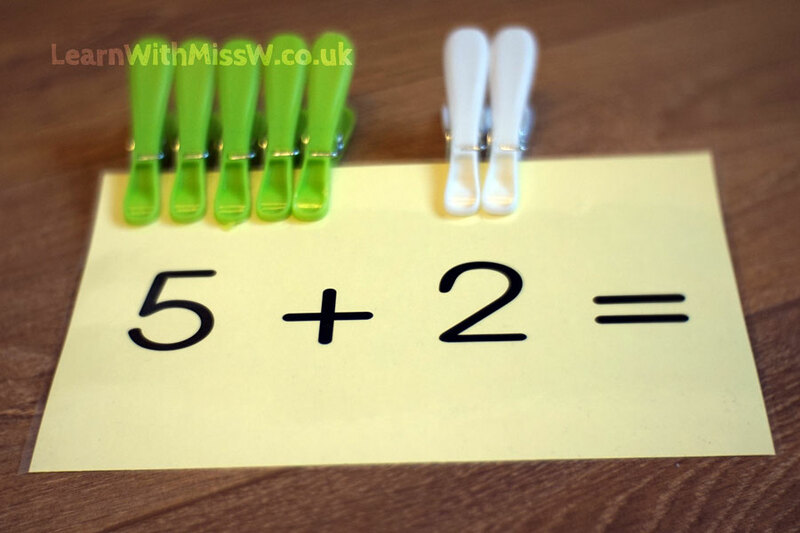 I encourage children to ‘move to count’ and transfer the pegs to the bottom of the card. This is more accurate than ‘touch to count’ and shows that the adding process has made a new set.